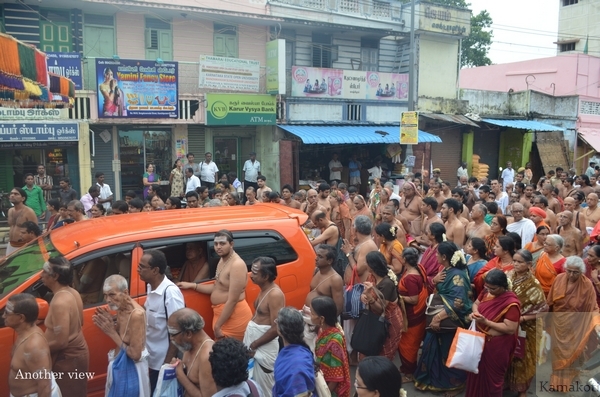 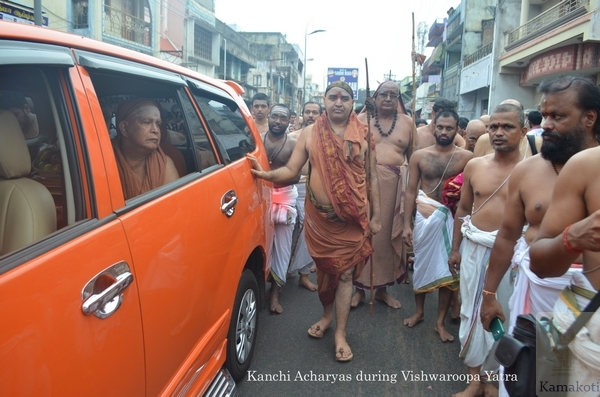 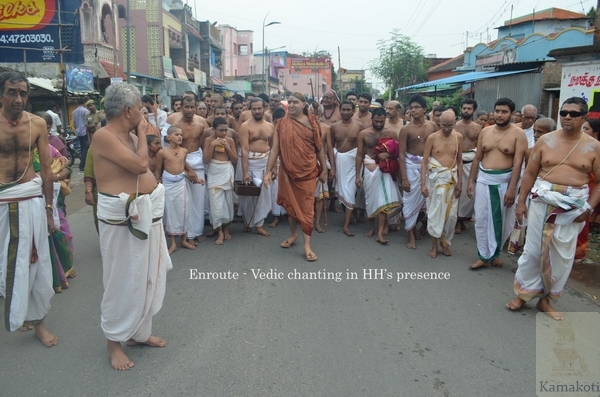 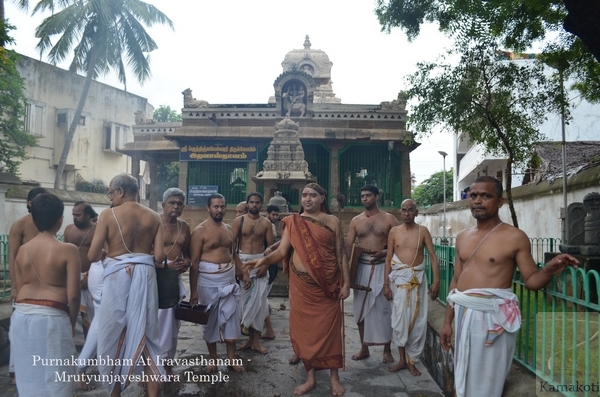 His Holiness Pujya Shri Jayendra Saraswathi Shankaracharya Swamigal & His Holiness Pujya Shri Shankara Vijayendra Saraswathi Shankaracharya Swamigal undertook the Vishwaroopa Yatra yesterday. 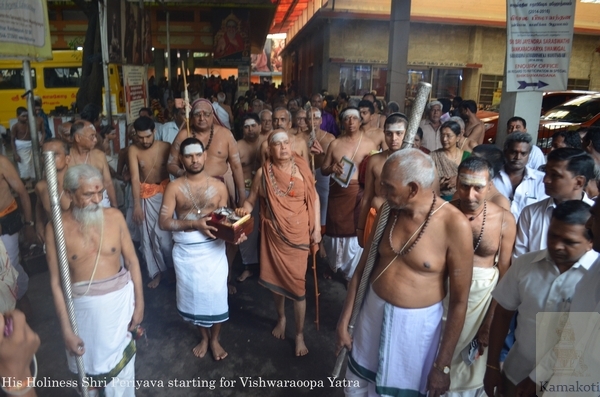 The Chaturmasya Vrata which commenced on 31st July concluded yesterday. 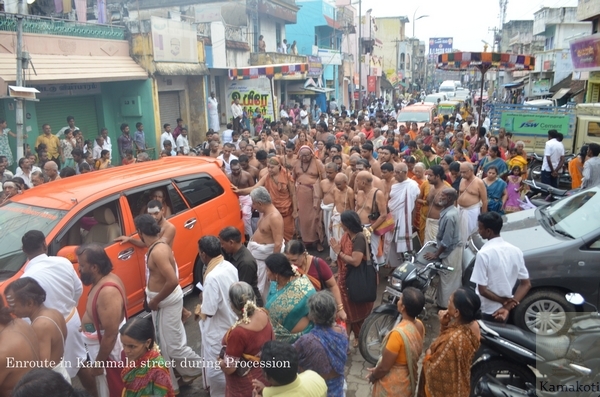 His Holiness started from Srimatam at 4.45 PM after blessing the Samaveda Sabha. 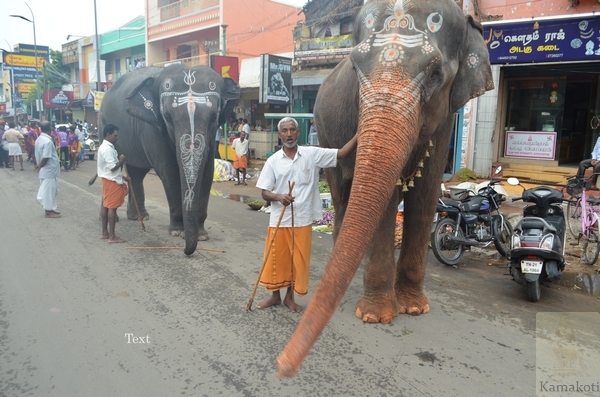 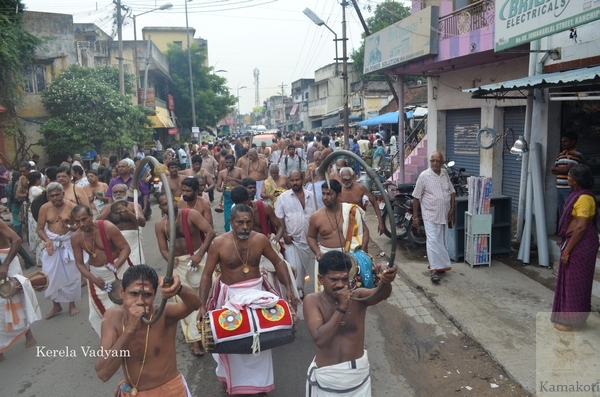 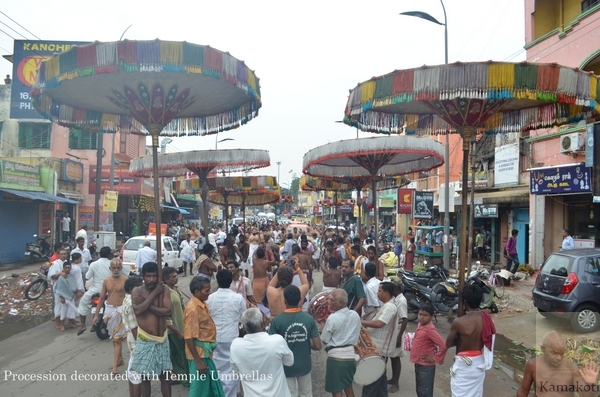 The procession led by temple elephants consisted of Nadaswaram, Kerala Pancha Vadyam, drum ensemble by local talent, temple umbrellas and devotees. 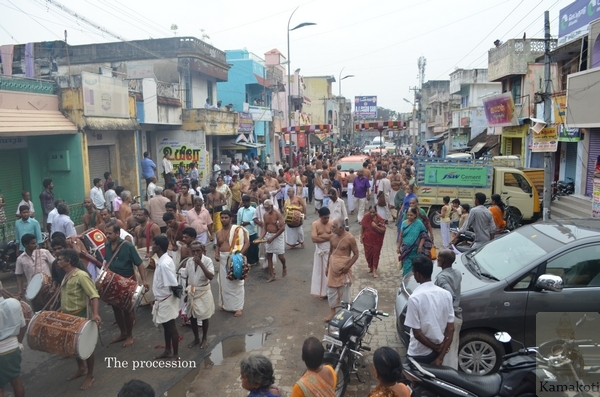 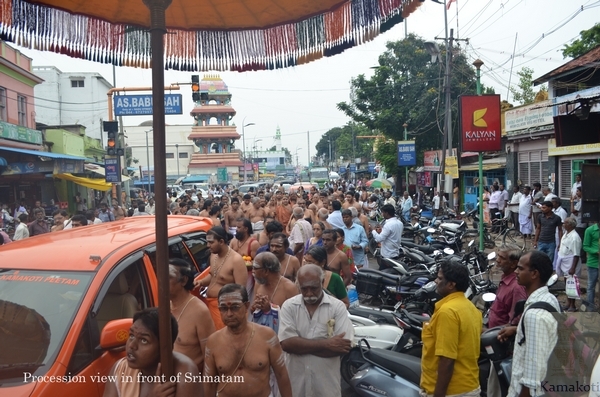 The hour long procession reached the outskirts at 5.45 pm. 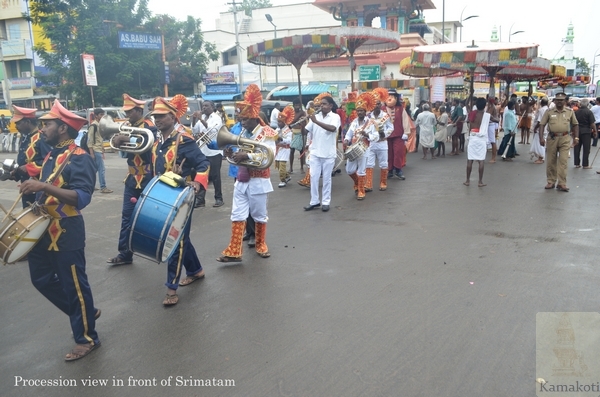 The Seemollanganam (signifying the crossing of border) event was held at community hall in the newly developed nagar in the outskirts of Kanchi town. 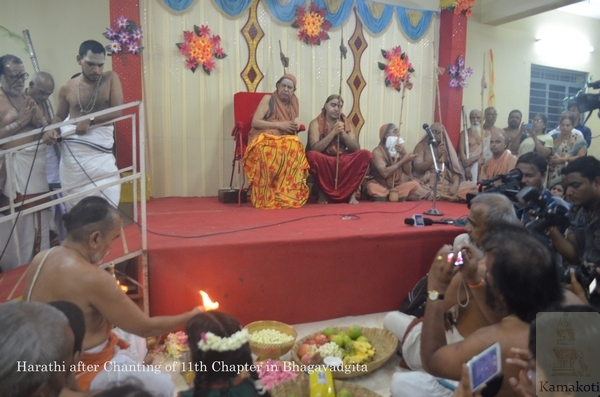 After the initial pujas to the holy Bhagavad Gita Grantha, the 11th chapter which is the Vishwaroopa Adhyaya was chanted. 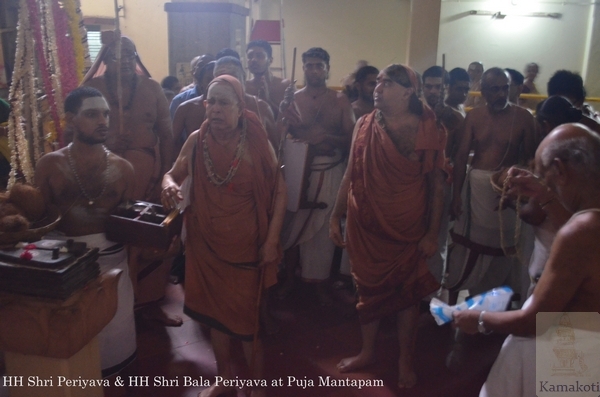 The devotees were doubly blessed as His Holiness Pujya Shri Bala Periyava himself led the Bhagavad Gita recitation. 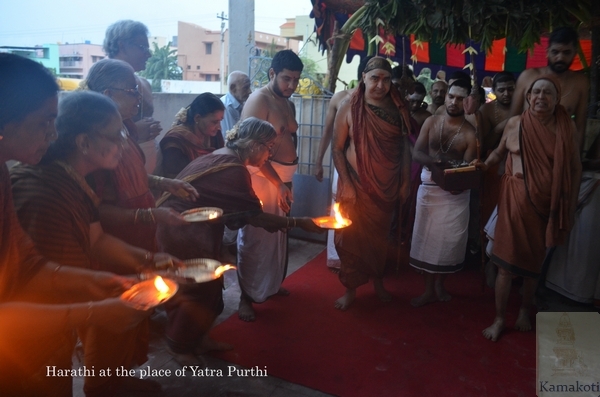 The event concluded with Harathi.